The North Melbourne Tasmanian Kangaroos will begin their AFLW journey at North Hobart Oval, when they take on Carlton in Round 1. 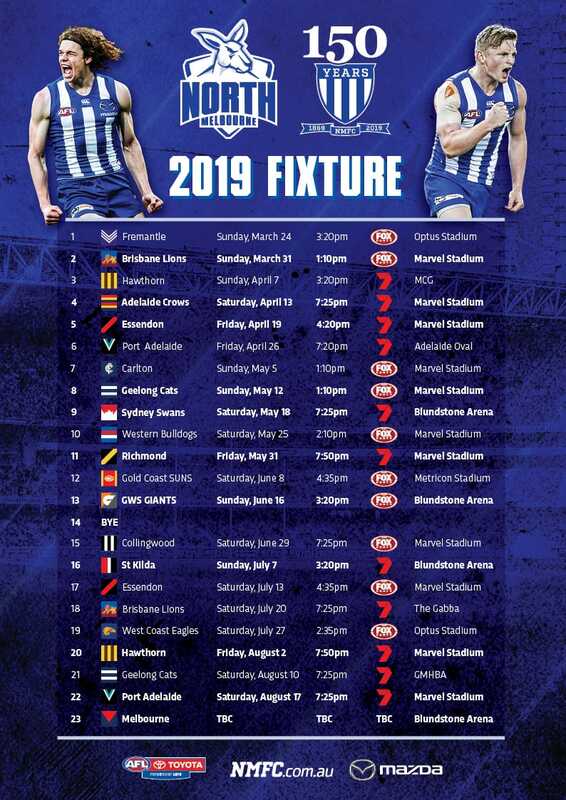 Having been placed in a conference with the Western Bulldogs, Melbourne, Adelaide, and Fremantle, the Roos will play three games in Victoria, and two in Tasmania. After acquiring some of the best talent in the AFLW, the Roos have been rewarded with some blockbuster fixtures. Included in the fixture are two Friday night games, as well as a Saturday clash against Collingwood at Marvel Stadium. 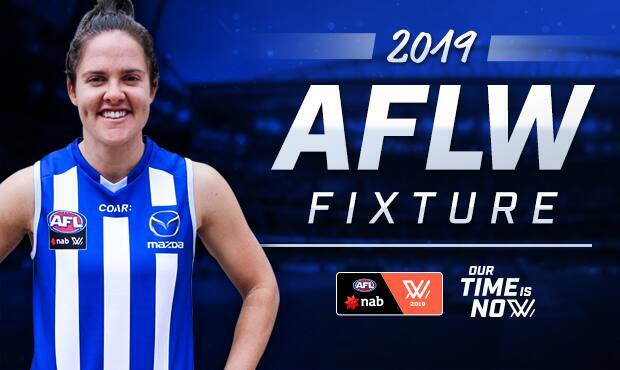 You can view the full 2019 AFLW fixture for the North Melbourne Tasmanian Kangaroos below. Don't miss any AFLW action by syncing your calendar with the fixture. Click here.